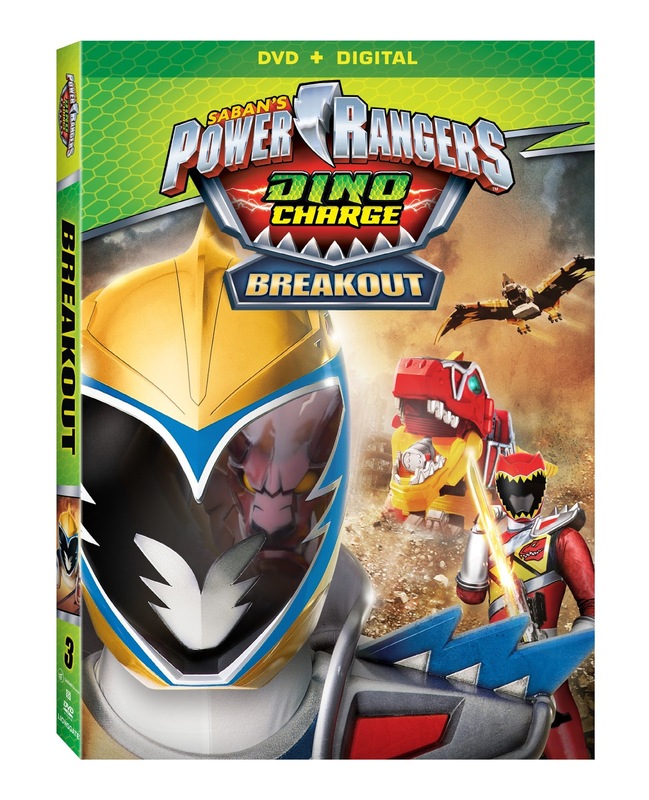 Lionsgate released yet another new Power Ranger DVD series recently on July 12th, 2016. 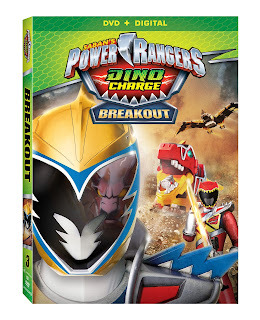 Power Rangers Dino Charge: Breakout is now available on DVD (plus Digital), Digital HD and On Demand. Yay for me, more Power Rangers action! Totally just kidding as I've told you all how weird I think this show is in general. For some crazy, unknown reason my children loves these guys and never seem bored with watching any given episode. The synopsis says "The Power Rangers will have to outsmart a puzzling villain, save a prince, and try to defeat Sledge's monsters. When the evil Fury unleashes the powerful Ptera Zord, only the Power Rangers can regain control with the help of their newest ally – the Gold Ranger!" This one thankfully included dinosaurs which the boys love more than anything! The day this arrived, they happened to have a friend over and let me tell you what we watched all day long! This was one of those love it but hate it ones, since I personally was happy to see the end. The boys however, were quite sad. Title Copyright: ™ and © 2015 SCG Power Rangers LLC. All Rights Reserved. This is such a good show for my niece and nephew to watch. I need to get this DVD for them to watch this summer!